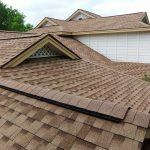 The roofing industry has known for quite some time the drawbacks of using traditional asphalt shingles on flat or low-pitch roofs. 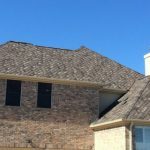 Shingles require a little help from gravity to create a seal against leaks, and with flatter roofs, gravity’s influence simply isn’t significant enough to do the job. To help reduce leaks and create a more impenetrable seal, manufacturers have created roofing materials made of rubber or PVC plastic, both of which are commonly referred to as rubber roofing. Single-ply synthetic membrane rubber roofing is ideal for use over low-sloping or flat roofs because it is durable, pliable, and waterproof. 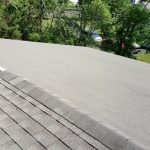 Whether they are made from synthetic rubber polymers or are made from plastic polymers, rubber roofs are designed to go in places where asphalt shingles don’t perform well. 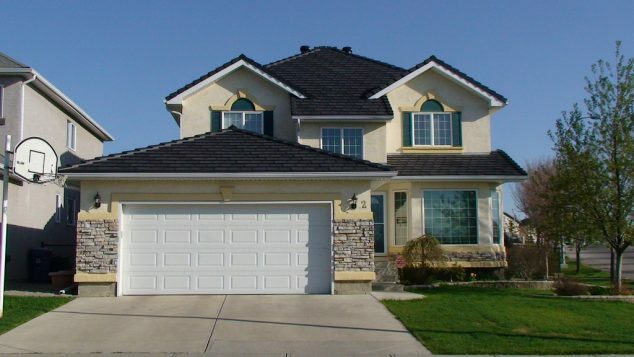 Synthetic single-ply roof systems are not the cheapest way to re-roof a home in the short term (roof material is generally measured by the “square”, which translates to 100 square feet; rubber roofing is likely to cost about $300 or $400 per square, while asphalt shingles are usually less than $100 per square). Rubber roofs, however, can last twice as long as other types of roofing and can save on energy costs, so they save you both time and money in the long run. 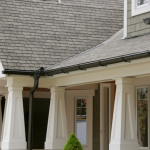 Typically, installing rubber roofing is done on the top of the existing shingles. 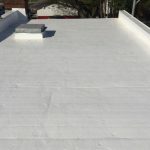 A layer of foam can be applied over the top of the existing roof (without tearing it off), which serves as insulation, then the entire surface is covered with this waterproof membrane. This saves time and high labor costs by reducing the amount of preparation needed to install your new roof. It also reflects heat and sun away from the roof, saving even more cooling costs. Rubber roofs are not to be confused with Sprayed Polyurethane Foam (SPF), which is sprayed onto the roof as a liquid. SPF roofing must be recoated regularly, and can tear when scraped by tree limbs and flying debris. SPF roofs also tend to attract critters like birds and squirrels that like to bury acorns into it, causing leaks. If you are thinking of replacing a leaking metal roof with a rubber one, an alternate solution might be to cover it with a layer of insulating foam and re-roof it with another new metal roof. 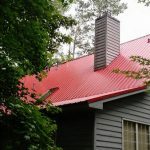 Metal roofing varies greatly in price, however, and depending on your situation, might be even more expensive than a rubber roof. Sometimes the most economical way to reseal a metal roof is to apply a special soybean-based coating with fiberglass webbing, as needed. It is also possible to roof low-pitch homes with conventional composition roofing. 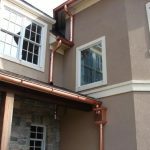 Water runs off homes with flatter roofs more slowly than from steeper pitched roofs which can allow wind to blow water back underneath the shingles. Thus both the tar paper and the roofing materials must be applied differently to prevent leaks. Need to find a pro for your Roof Job? What is the difference between pond liner rubber and a rubber roofing membrane?